Lean Six Sigma helps companies to make the transformation; from a more traditional business and operational management model to a process management company. What is the principle behind LSS? Lean Six Sigma [LSS] is based on the principle; in order to deliver service and product excellence, firms must not only have an in-depth knowledge of their internal processes, but also have a profound understanding of customers current expectations and future needs. 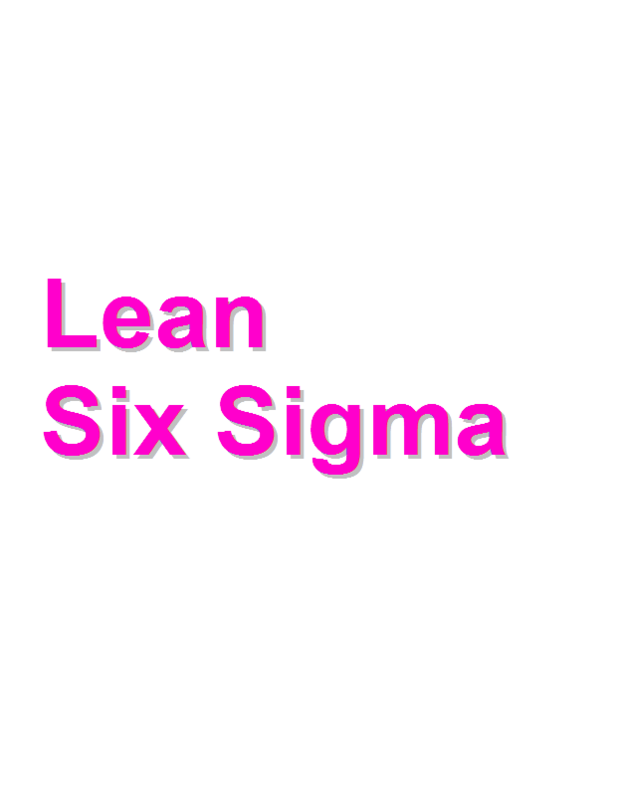 How Lean Six Sigma [LSS] can help a company to achieve quantifiable improvements ? By creating a sustainable quality culture: Many processes can be introduced for very good strategic ROI. By bringing clarity to Invisible processes and enhancing control: Stringent Quality control can be applied to achieve the desired market quality of the product. By providing a corporate strategy for differentiation: Integrated corporate strategy with different processes in place can demonstrate the differentiation from the past to the current status of the organization. By becoming a world-class service or product provider at the lowest cost: For any product manufacturing or service provide company, reduced cost can bring very good and strategic ROI. By providing customers with what they value:The customers attraction can be accelerated by using LSS methods in execution. By reducing the hidden costs associated with poor-quality products or services: Basically the waste can be identified and when their control can be accelerated, the removal of poor-quality can be accelerated with better services along with the customer satisfaction acceleration. When an organization follows LSS methods: They can demonstrate all the above changes for different business domains. These activities can be applied in multiple domain areas. Then the perception of LSS can be applied only in Manufacturing domain can be vanished with the accelerated proven cases for an organization. This entry was posted in Uncategorized on January 19, 2016 by Shanthi Kumar V.